Margaret Augustyn O’Donnell, who after attaining her Bachelor of Arts Degree, co-founded Waterscapes with her late husband James O’Donnell, Sr., in 1986. 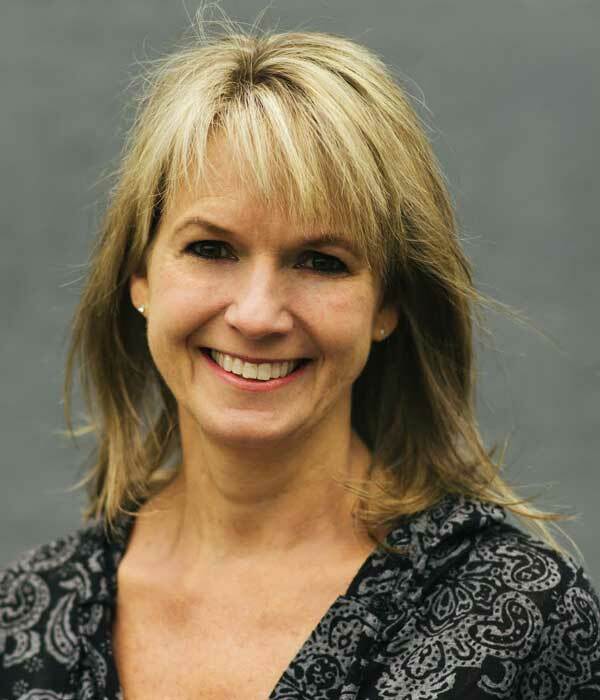 Margaret worked with Jim in a wide range of capacities since the company’s inception and now, as Sole Owner, has over thirty years of experience under her belt. She is diligent, maintains exceptional core values and is committed to the best in customer service. Having her accreditation as a Certified Pool Operator (CPO), Margaret has a close relationship with her employees and upholds the highest expectations of all of them. She focuses on the principle that the extraordinary level of service provided by her company makes all the difference in the world to her clients. Margaret is devoted to giving them hassle-free pool operation with optimal equipment performance, beautiful vistas with safe environments and pure enjoyment of their personal retreats, year in and year out. James O’Donnell, Jr., was born with an incredibly creative and mechanical mind that astounded his parents, teachers and mentors alike. Forever infatuated with his family’s swimming pool business, Jimmy was out on job sites at a young age, taking great interest in all facets of pool construction, service and repair. He spent his Spring breaks from school taking industry courses in subjects like water chemistry, automatic controls, heater troubleshooting, computer-aided design and hydraulic construction. Jimmy’s greatest teacher however, was his father, from whom he also learned the importance of resolution and hard work. 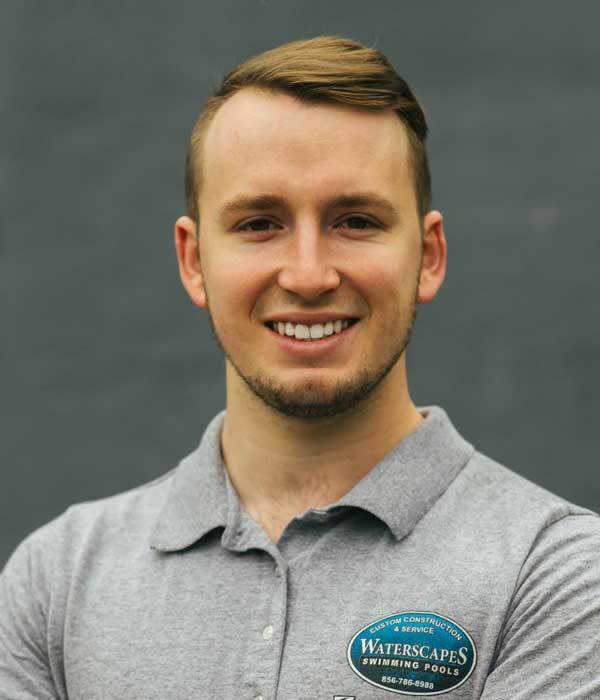 Jimmy holds the position of President of the company and his superior problem-solving skills and natural talent keep Waterscapes on the cutting edge, always ready to take on any challenge that their specialty of upscale and complex swimming pools can hand out. 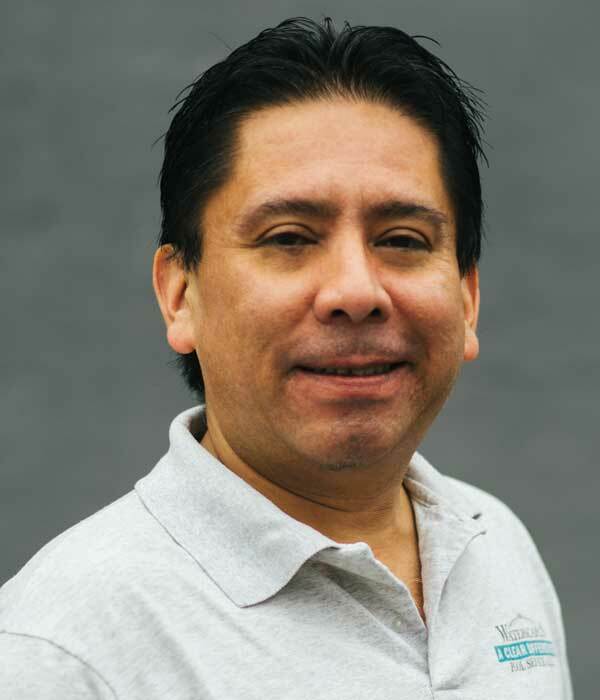 Nelson Barragan, with a degree in Construction Management and Architecture, and who maintains the title of General Manager, started working at Waterscapes in 1994. Friends with co-founder Jim O’Donnell since kindergarten, Nelson is an extremely passionate and loyal member of the organization and will do anything asked of him, and do it well. His job responsibilities include renovation management, contractor coordination and scheduling, fleet management, employee resources, safety and quality enforcement, supply ordering, invoicing and accounts receivable, to name a few. He has also been seen changing flat tires, stocking shelves and even cleaning up the yard. Nelson has a forte’ for impeccable record keeping and is considered by all the staff as the thread that ties the company together. 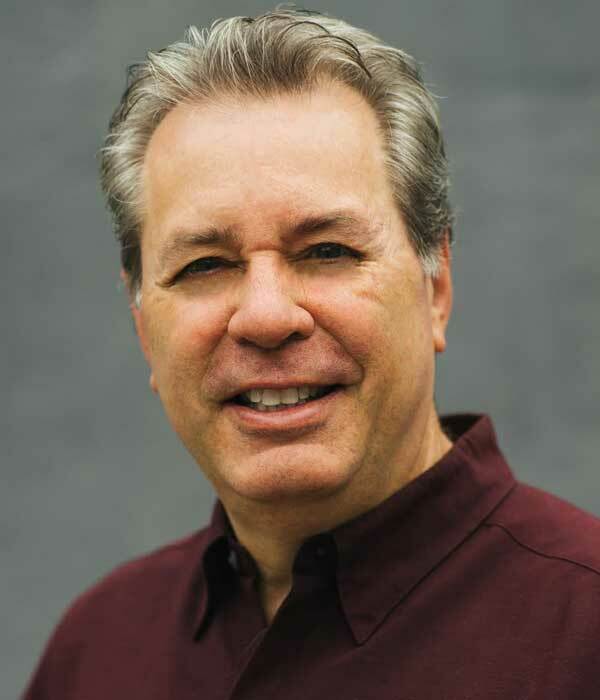 Gary King, who came from a background of creative design, was originally friends with founder, Jim O’Donnell, but became his right-hand apprentice in 2001. They worked closely, meshing their ideas together and winning countless swimming pool design and construction awards both inside and outside the industry. Gary’s experience took him to Nantucket for five years where his exclusive pool designs gained him the highest respect of homeowners and architects alike, and his work was published in numerous magazines. Waterscapes is fortunate to have Gary return in the wake of their founder’s death, and he keeps Jim’s vision alive. Gary is extremely attentive to his clients wants, needs and ideas, he beautifully designs and develops each project, and is onsite overseeing every critical stage of construction. James O’Donnell, Sr. established Waterscapes upon the premise that water is a magnificent medium to work with and when executed properly, it can be absolutely transforming. As a long-time member and eventual president of the National Spa and Pool Association, Jim was integral in creating nationwide education and testing programs. He continued to instruct industry members in his areas of expertise such as hydraulic design and fabrication, alternative water chemistry, state-of-the-art equipment service, and large-scale renovation and construction projects. 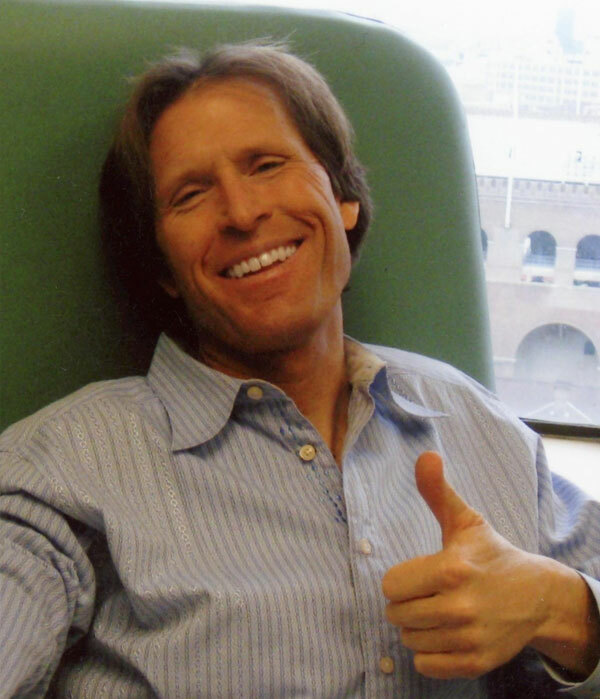 An avid athlete and health-conscious individual, Jim was tragically diagnosed with a rare form of cancer in 2007. Through many surgical procedures and experimental treatments, he continued working at the career he loved and passed down this passion and skill to his son, James Jr.
Jim will always be remembered as a brilliant and creative individual whose sincerity and vitality touched everyone he met. He continues to inspire the wife, family and employees he left behind through the integrity, relentless work ethic, and positive attitude he instilled upon them. exceptional design, timely completions, and a first-class service.